I'm excited about guest blogging again! I had been guest blogging on www.okanagan4kids.com, but things have been put on hold while they revamp and rebrand their website. And it looks like they are ready to go again. My little one has grown so much, especially in the last few months, that we are facing a whole different list of adventures. I'm back at work, and that holds a different perspective on life than before. So I hope I have some interesting new things to share. Today some friends and I did a twist on the traditional playdate. We had a potluck brunch! Our boys are only a few weeks apart. And now that we are all back to work, it's getting harder to get together. So we decided to have a Sunday morning brunch playdate! And we included the hubby's! 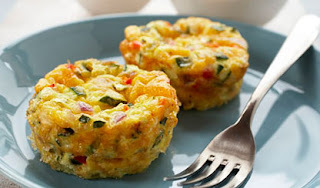 We had a mini brunch with yummy scones, fresh fruit, and Shrimp and Pea Frittatas (I've included the recipe because they turned out pretty good!). It was so much fun seeing our little (and big) guys interacting together (something that is quite new for the little ones). And we ended things with these parting words..."Let's do this again!". The Okanagan is known for it's beautiful wineries...106 at last count! Along with our growing wine industry is a strong and vibrant culinary industry. Restaurant events are increasing all the time and winery restaurants are appearing at a brisk rate. 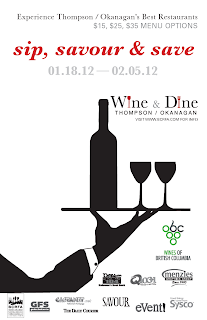 This year I have the pleasure of coordinating the Thompson/Okanagan Wine and Dine, and it's going to be a great event! The event this year will be starting off with a Launch event at the Delta Grand, and it's going to be a good one! 10 restaurants & 10 wineries will be there handing out samples to over 200 attendees. The tickets went fast, what a pleasant surprise! Once the launch night is over, then the real fun begins. Restaurants have put together fixed price menus of $15, $25, and $35 paired with beautiful wines from BC Wine Institute BC VQA wines! You can check out all the menus on http://www.bcrfa.com/. And come and check out the Wine and Dine Facebook Page for a chance to win Gift Certificates, and hear the latest news! 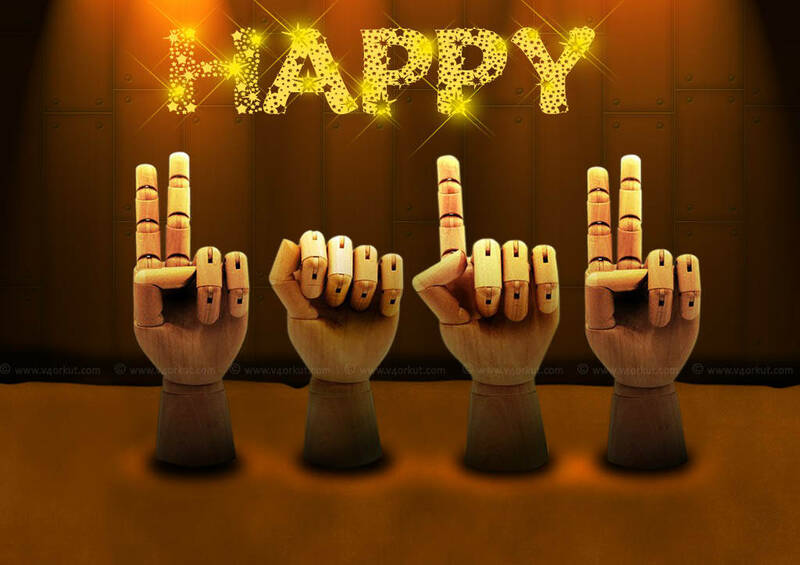 New Year's is upon us, as we come to and end of a year and the start of a new one...is it time for a change?! How do we decide what changes to make? Life is a whirlwind, so we need to take time to slow down to even decide what changes we want to make for the new year. Wait...maybe that should be on my list...slowing down! First I need to clear the table, so that I can sit down and think clearly. Wait...maybe I should add getting rid of clutter to my list. Let's make a snack while we decide. Oooooh, let's add some ways that I can lose weight. Maybe I should phone a friend and ask their advice. But I haven't talked to some of them in such a long time. I should reconnect with old friends. Well that was easy, but haven't I been adding those to my list every year? Maybe I should be more specific. Maybe I shouldn't be trying to do all these things at the same time. What's the trick to making these changes? If you have any advice on making positive changes...let me know. 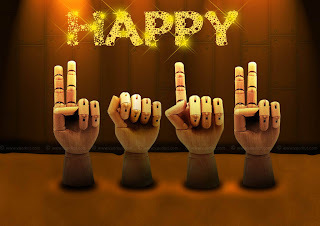 Happy 2012 everyone!